Using step-by-step instruction on how to draw Japanese manga and anime zombies, vampires, and monsters, best-selling author Christopher Hart teaches artists how they can create their own spooky manga characters. With the occult running rampant in today's television, movies, and other media, it's no wonder that the scary, monstrous, and dark characters of manga have become so popular. 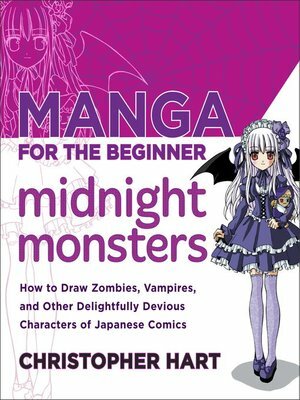 From drawing monster eyes to goth boys, Manga for the Beginner Midnight Monsters teaches artists how to draw these creepy and mysterious characters that they just can't get enough of.